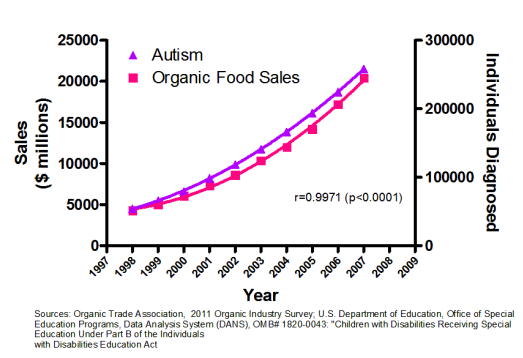 Class Opener – Day 46 – Correlation Does NOT Mean Causation! Later, my students will be asked to read and respond to a “newspaper article” about a California school which analyzed their student data and found that student achievement correlates strongly to student height. The school’s reaction to this correlation seems dubious at best, and with good reason….it’s a fictitious article I wrote symobolize the danger of seeking cause/effect from casual relationships. A problem I gave as review for our statistics test today became not only a source of conversation regarding vocabulary, but provided me some insight into the problem solving approaches of my students. But a subset of my class was content to watch from afar, waiting for hints which they assumed would come. Or worse, tuning out until I presented an explanation to the class….which never came. And that last blank caused more trouble than I would have expected, as some students had trouble making the connection between the mean of a data set and the sum of its elements. To help with this, I asked struggling students to provide me with any 4 numbers which had a mean of 10 (making them different numbers). I asked students what I should be looking for to check accuracy besides computing the mean….and then, the light bulb! All lists need to add up to 40! So without explictly doing the empty blank problem in front of us, I sent students back to the board to think about this fact. And the results were satisfying, as many of my fringe students could now complete the task and explain their procedure to their peers. But in the missing numbers puzzle, the concept “felt” different and thus “new” to many students. For me, this is where many students struggle in math classrooms. Are we showing students how ideas and problems connect to big ideas? Or does each combination of an existing problem become treated like a new experience? It’s hard to break the pattern of students wanting specific rules for each type of math problem, when this is often the math conditioning they receive. But it’s worth the hard-fought battle. 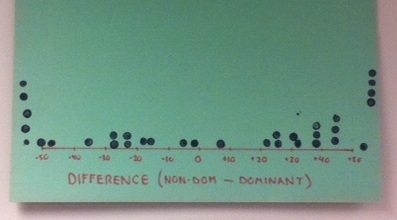 Big Stats test tomorrow – students are getting antsy, lots of movement happening with review and reflection. Today was a good day to step back, think about the role of numbers in society and appreciate some intriguing artwork. Chris Jordan is a photographic artist whose works “Running the Numbers – an American Self-Portrait” cause you think of the largeness of our world, and the amount of waste we create. His website contains a number of fascinating pieces which zoom to reveal a statistic about our society’s wastefullness. It’s an awesome experience, and we started class today by discussing a number of the pieces and the large numbers they represent. There were a number of “whoa” moments as the composition of each picture was revealed, and I read the helpful statistic attached to each work. Based on the size of each piece, there are some great estimation discussions to be had here as well. It’s statistics – it’s art – world are colliding in a cool way! Chris’s TED Talk “Turning Powerful Statistics Into Art” can also be shared with classes to learn more about the message of these pieces. 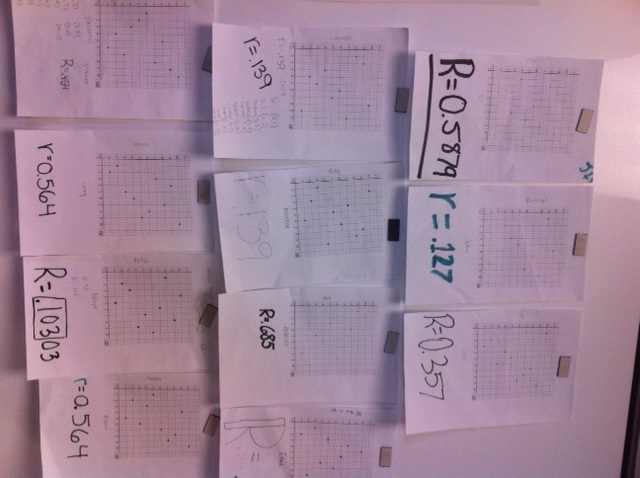 After a day off for election day, it’s back to the world of random sampling, margin of error and plausible intervals. These tend to be tricky ideas for students, as we move from the “absolute” world of algebra and into the slightly more wishy-washy world of sampling and plausability. 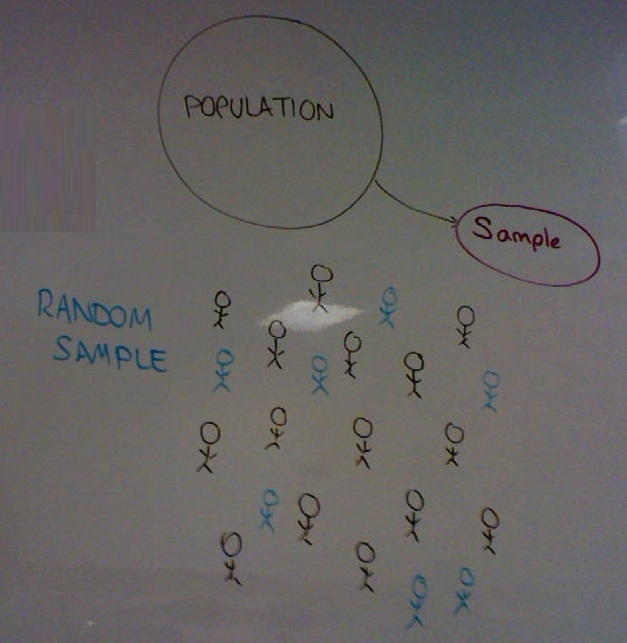 My board scribblings were intended to remind students that we draw samples to represent populations, and that random sampling is king! But random sampling is messy business, and there are other sampling techniques I want students to consider, and think about their effectiveness. Rather than lecture each type (caution – excessive vocabulary lectures may cause drowsiness), I gave students a list of words I expected them to research and find suitable resources. After a few rounds of walking around the room to discourage random copying of definitions which they didn’t understand anyway, many groups began to ask the “right” questions, relating the ideas to hypothetical surveys we could do of high school students. 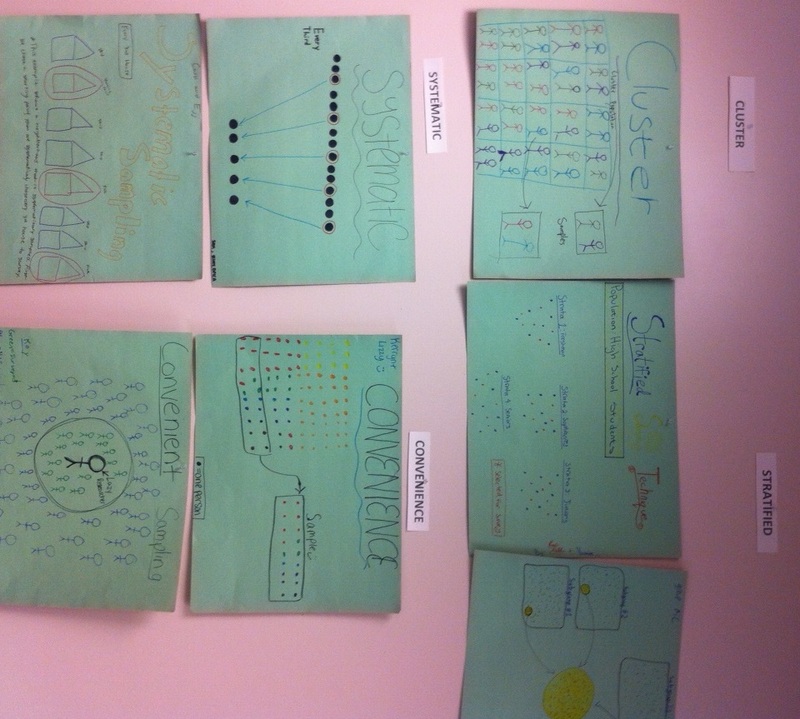 Towards the end of our time, each group was assigned one term to “explain” on a poster through a visual representation. And now, we have a great crowd-sourced wall of survey vocabulary to refer to during discussions! Class Opener – Day 39 – It’s a Heat (Map) Wave! 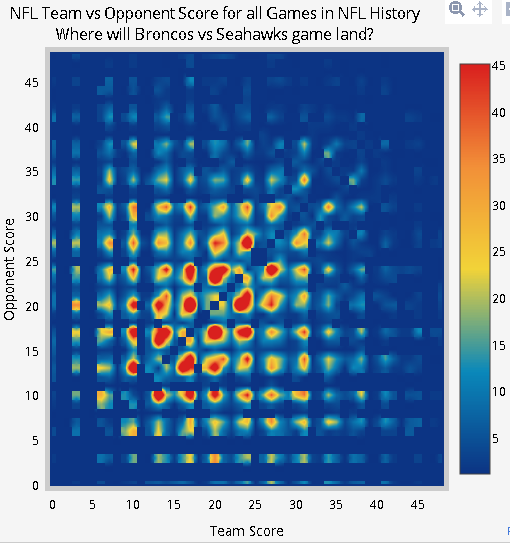 Finishing up discussions with scatterplots – today’s visual when students entered presented a new idea in scatterplots (from the awesome Plot.ly site) – a scatterplot representing the score of every NFL game ever played! This was a quick warm up as I wanted to get to the main event – scatterplot stations! Students worked in teams to complete activities (in 15-minute intervals) designed to strengthen their understanding of many ideas surrounding scatterplots. Station 1 – using graphing calculators to assess data sets, and writing clear summaries of the trends. Station 2 – estimating best-fit lines given a scatterplot, and using their algebra skills to make good estimates. Station 3 – netbooks! Play with the Rossman-Chance “Guess the Correlation Applet” and develop and understanding of “least squares” with this Geogebra applet. 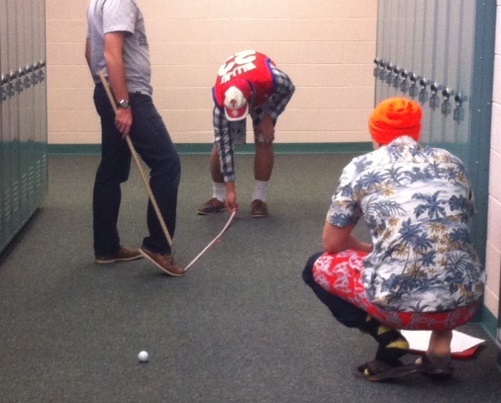 Fun day today…..moving on to sampling tomorrow! Class Opener – Day 38 – Are Any of My Students Compatible? Today’s opener was inspired by a movie correlations activity I have used in AP Statistics, and Cathy Yenca’s awesome activity which brings this idea down to the Algebra level. Students were each asked to rank these activities from 1 to 10 (10 being most desirable) and using each number only once. The class then moved into partnerships with my suggestion that they work with someone they maybe did not know so well in class, and compared results. 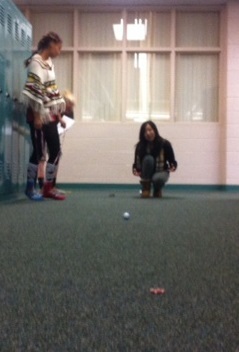 With an odd number of students, I worked with a student to share interests. 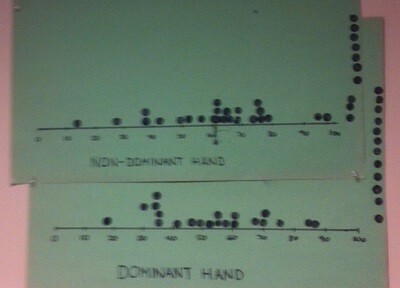 Results for each activity were plotted as ordered pairs, with each partner contributing their number score. 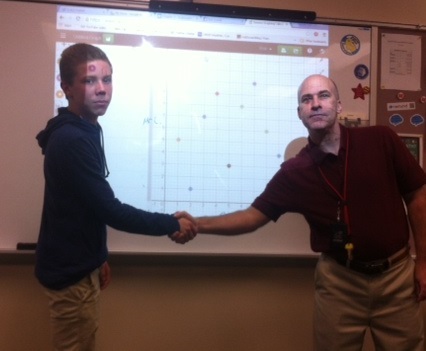 Students plotted their points on graph paper, while my student partner and I used Desmos – and quickly discovered that we have little in common. From there, students learned how to use graphing calculators to analyze the data – making the scatterplot and finding the best-fit line. The partnerships also wrote this mysterious new statistic – r – on the bottom of the graph and shared their graph in the board. Through a gallery walk, the class examined the graphs and tried to conjecture the meaning of r.
Pairs with stronger relationships have “higher” r values. There are no r-values greater than 1.
r can be negative if people answer opposite each other. Definitely will add this activity to my arsenal every year!